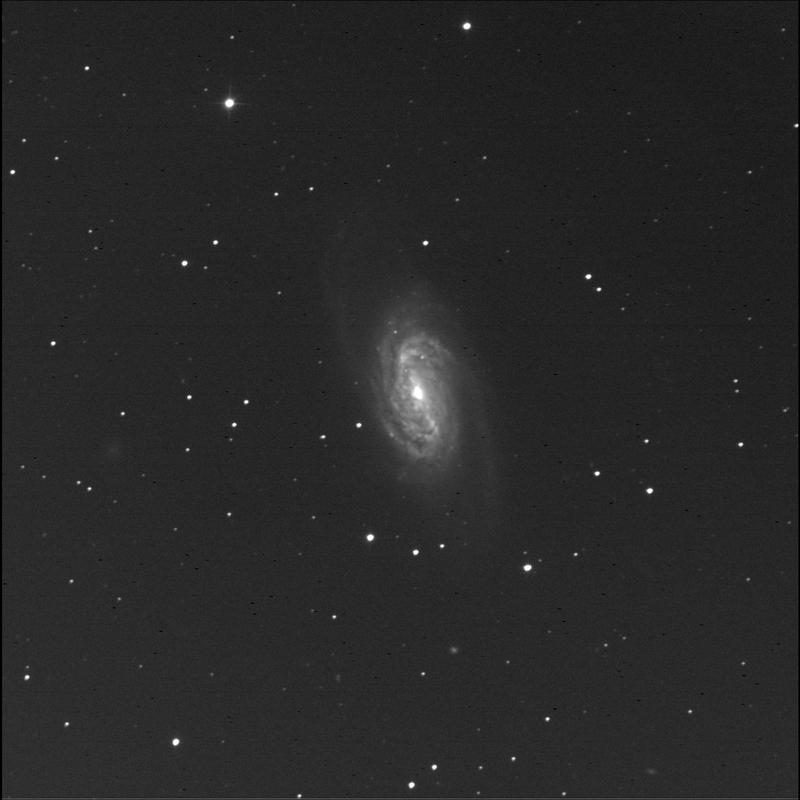 BGO captured NGC 2903 for me. An amazing spiral galaxy in Leo. One of the RASC Finest NGCs. The outer arms extend very far outwards. The small, faint oval fuzzy LEDA 1647510 is to the south-west, near the bottom edge of the image. Due south of the incredible galaxy is the bright but very small and round fuzzy LEDA 1648681. There's a round lint ball to the east: UGC 5086. Quasar WEE 30 is just barely visible GSC 01409-0909 and GSC 01409-0850, to the north-west of the grand spiral. SkyTools says it has a redshift (z) of 2.53 with a light time of 9.4 Gyr.